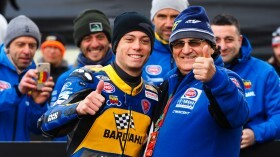 There seems to be record after record in the WorldSBK paddock in 2019, with history being made seemingly at every turn. 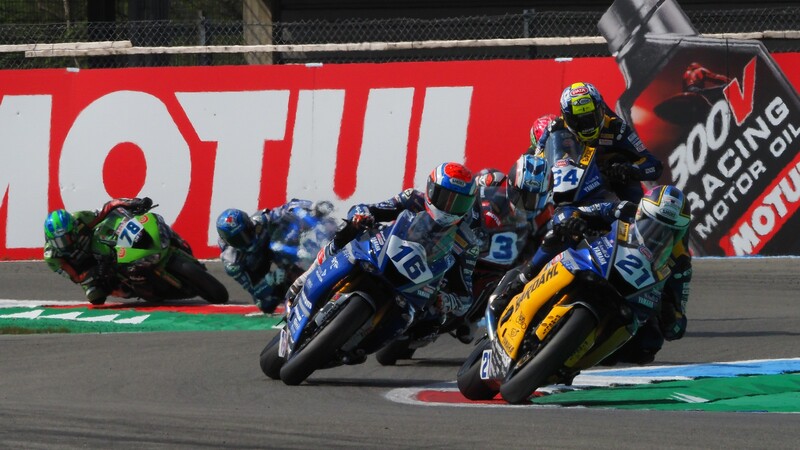 However, the WorldSSP championship also saw some history made at Assen, as Thomas Gradinger (Kallio Racing) rocketed to a third-place finish and a career first WorldSSP podium. However, this was also Austria’s first podium too! Having qualified down the order in seventh after a difficult Tissot Superpole, the Austrian went into Sunday’s 18-lap battle having been more than a second behind Randy Krummenacher’s (BARDAHL Evan Bros. WorldSSP Team) pace. 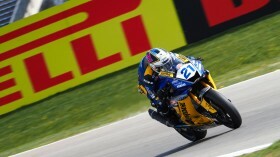 However, none of that mattered in the opening lap, as Gradinger pushed his way through to a mighty third place. 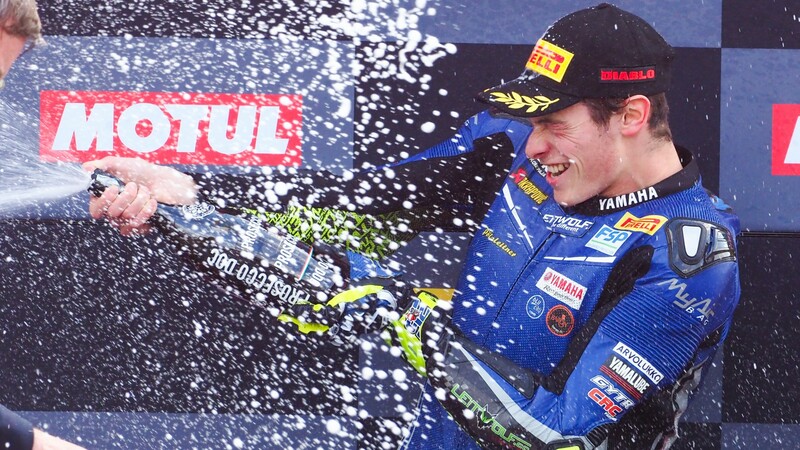 From then on in, it was a battle to behold in yet another classic World Supersport encounter. 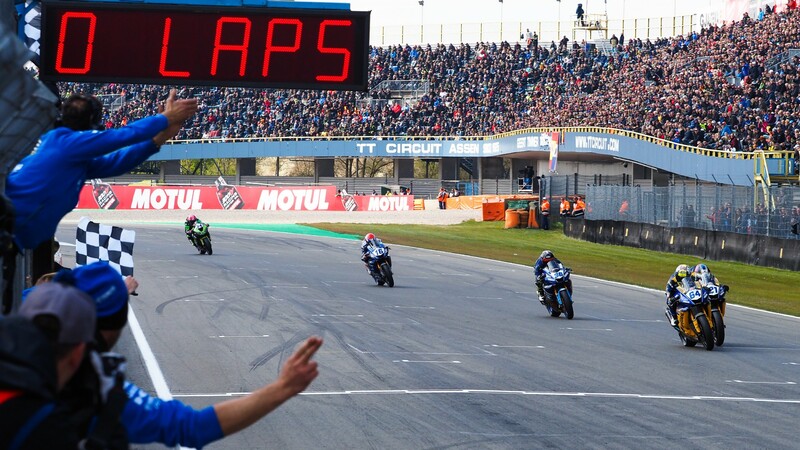 Gradinger remained in the mix and despite having to fight back more than once, crossed the line a fine third and just 0.223s behind race winner, Federico Caricasulo (BARDAHL Evan Bros. WorldSSP Team). 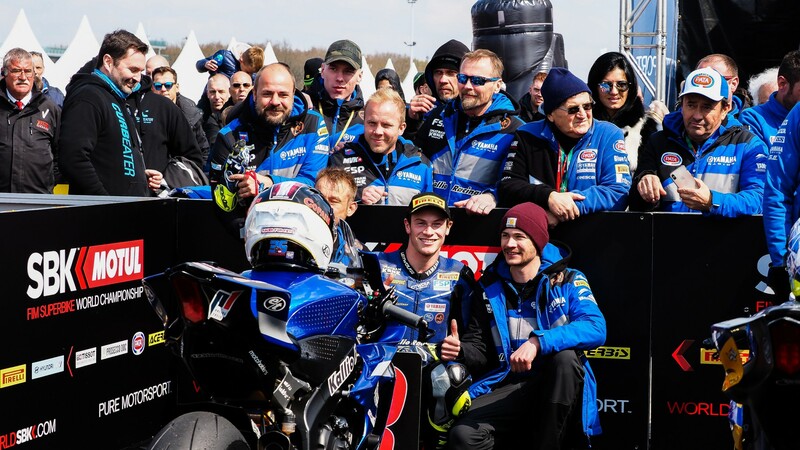 With this being the first time an Austrian has stepped on the podium in WorldSSP history, coming a week after the nation’s first pole position, Gradinger is somewhat a hero back in his home country. “I got a great start and could rise some positions, but the whole race was a tough fight,” he continued. Gradinger will be looking to complete his sequence of setting records for Austria in WorldSSP in Italy next time out, as the championship heads to the historic Imola venue, at the Autodromo Internazionale Enzo e Dino Ferrari circuit. Follow all of the WorldSBK and WorldSSP action at the Pirelli Italian Round with the WorldSBK VideoPass!